Holy @$^#$ what the @$%^%$#!!! Yup, that was my first thought when I went into a post on the *work* blog this morning and couldn’t find the damned content. After some panicked googling, I installed the “Classic Editor” plugin and set everything back to right over there, but then I immediately came over here to see what it was all about. Honestly, if I accidentally destroy something over here, no one is really going to notice, right? After checking out one of the older posts here, and seeing the content exactly where it should be, I’m figuring that the theme we’re using over at the work blog is probably not compatible with this shiny new editor block thingie, so it’s doubtful we’ll be turning that back on again anytime soon, but just in case, I’ll just keep poking around right here so I know what’s going on. So far this is looking kinda cool! Looks like embedding stuff just got a whole lot easier! Embedding that song from Spotify was crazy easy. Let’s check out some image stuff now. Todd and Riley giving belly rubs to the sleepy soft Hobbes. I may look angry, but really I’m just teaching my nephew how to knit. I bought this beautiful Toil and Trouble yarn from A Circle of Stitches in Salem, MA. It’s like super soft sunshine you can hold in your hands. Miz Medusa at the Isabella Stewart Gardner museum last week. Ok, that looks pretty awesome. And check out Hobbes, he’s so dang adorable! And sooo soft. And sweet. And all kinds of other s-words. Another circle around the sun! So, never went back to Blue Apron. I stopped using my Bullet Journal around March or April and started using Evernote in a similar way, but then that only lasted until late July, then I got bored with that too. 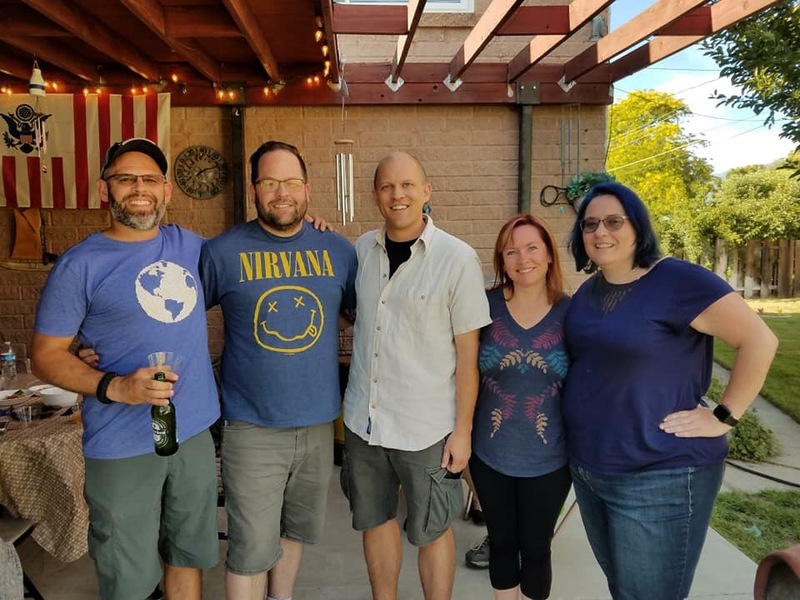 Posted byPolgara August 20, 2018 Posted inMiscellaneousLeave a comment on Another circle around the sun! Goodbye, Blue Apron. It was great while it lasted. So, the shine has faded on my Blue Apron love. Or, not Blue Apron specifically, but the cooking part. For the first few months I was always careful to cook every meal before anything could spoil, but eventually, as always happens, I fell behind, and now, in November, there have been entire weeks of meals that I have thrown away uncooked. Not just a waste of money, but a terrible waste of quality food. I’ve reduced my deliveries to every other week, but that hasn’t helped like I thought it would, and I’m thinking it’s time to put a hold on the account. Maybe after the holidays, I’ll be back in the swing of things and ready to commit to cooking regularly again. Posted byPolgara November 16, 2017 November 16, 2017 Posted inFoodTags: blue apron, cookingLeave a comment on Goodbye, Blue Apron. It was great while it lasted. How do I love thee, Blue Apron? Let me count the ways! I’ve been cooking a lot over the past few months, thanks to Blue Apron. I’ve never really been a “cook”. I’ve sometimes considered myself a baker, at different stages in my life when I was into baking (I’m not right now), but I’ve never been into cooking. I’ve always been more of a, buy a rotisserie chicken for the week, maybe throw some salads together, heat up a can of soup, call for Chinese or pizza, kind of girl. When I was at my sister’s for Christmas, I partaked (partook?) of her Blue Apron meals. They arrived weekly in a box containing exactly the ingredients needed for each meal, no more, no less. They came with recipes. They were tasty, and totally cost-effective (about $10 per serving). And they were pretty easy to prepare. In March I finally gave in to the sis’s nudging, and signed up. And I’ve gotta say, it has changed my life. I order delivery far less; I waste far less food (no more buying veggies with all the best intentions, and then not feeling like eating any of them); I spend less on groceries; and I’m eating REAL FOOD. And I’ve actually reached a point where I enjoy the cooking experience. My very first meal! Seared cod with roasted potatoes and dates. Took just over an hour to prep and cook. Loved the pickled scallions on the salad, and was surprised to learn that I actually like chopped nuts in a salad. Sadly the date sauce wasn’t as good when reheated. That last part took awhile, until the sis helped me realize it was really the cleanup that I hated. I’d avoid cleanup, ’cause that’s what I do, and then I wouldn’t have anything clean with which to cook the next meal. On the sis’s advice, I threw away my “but the dishwasher must be completely full before I can run it!” mentality, and now I run it every night that I cook (i.e. 3x/week instead of 2x/month). Now I always have clean materials to work with, and I go to bed most nights with an empty sink, which is surprisingly relaxing when I first enter the kitchen in the morning. 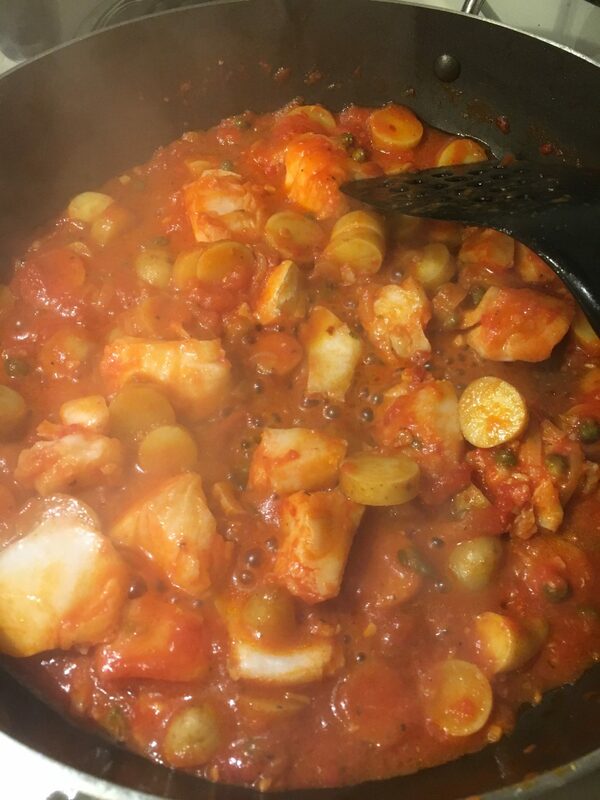 Cod Stew. So so yummy! 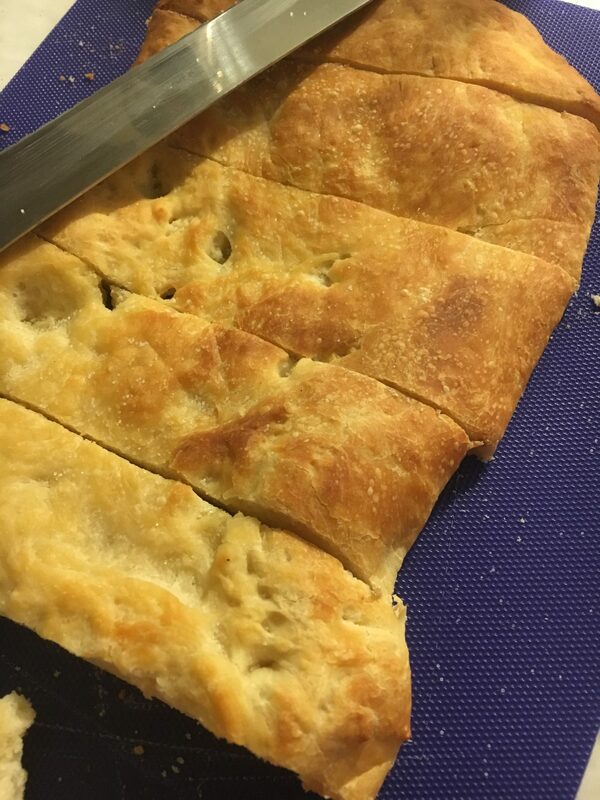 Pizza Bianca, which was really just pizza dough brushed with olive oil and salted. I ate the whole thing, it was so good! And possibly the best part is that I’m losing weight. These aren’t low-fat meals. I don’t skimp on the oil or the cheese or the carbs. The meals are just healthier than I’ve ever eaten before–real food cooked from scratch, with all their nutrients still intact, and far fewer preservatives. And each serving is totally satisfying–in nearly three months, I can count on one hand the number of meals where I went back and ate the second serving instead of saving it for the next day’s lunch (and it was usually because I didn’t think it would reheat well, like the quesadillas). Some meals are even so filling I divide them into three servings (the Italian pork pizza, for instance). I almost never snack at night anymore. There’s just no need. Oh! And how could I almost forget–they’re delicious! I mean, sure, some of them make me go “eh”, and I am so not a fan of slaw of any kind (I always throw the mayo and sour cream away and figure out something else to do), but most of them are yummy, and some of them are OMG SO DELICIOUS I COULD DIE RIGHT NOW! So yes. Bottom line, I love Blue Apron. 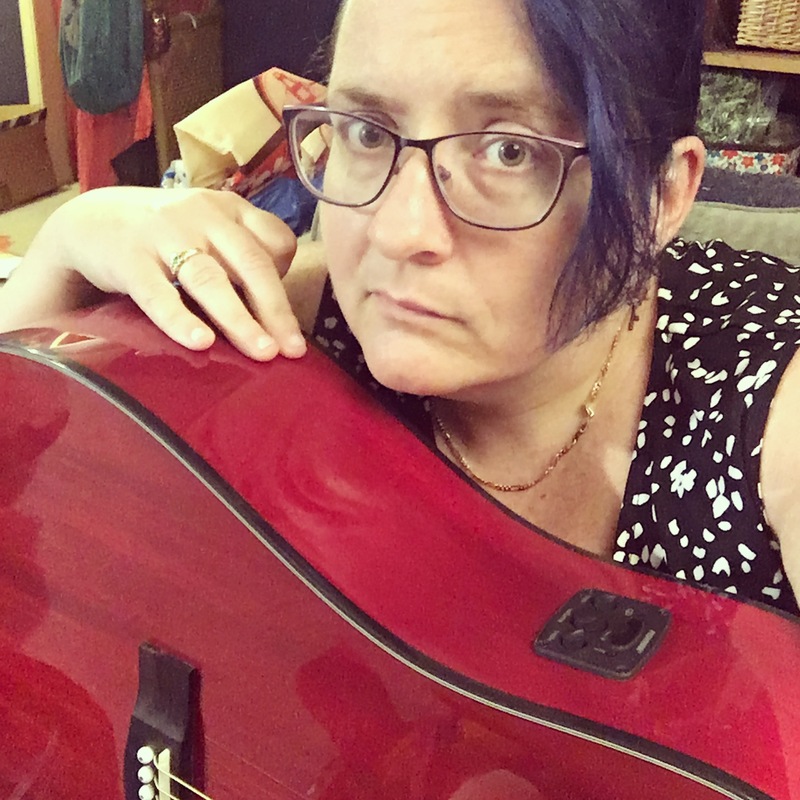 It has changed my life in all good ways, and it’s nice to know that even as I approach the big 5-0, this old dog can still learn new tricks. 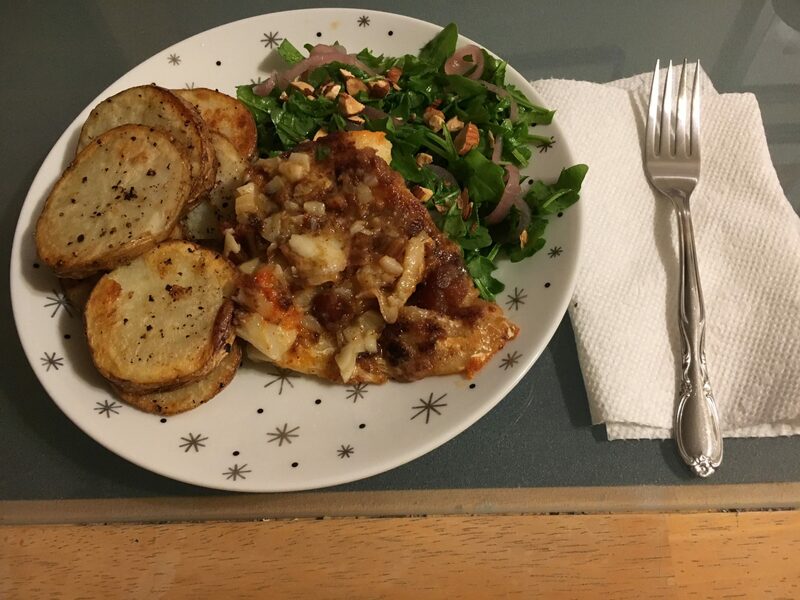 Posted byPolgara June 5, 2017 April 12, 2019 Posted inFood, Health and ExerciseTags: blue apron, cleaning, cooking, healthy, hobbies, new tricks, organizingLeave a comment on How do I love thee, Blue Apron? Let me count the ways! I don’t need more yarn. Seriously, I know this better than anyone. And yet, Yarn Crawl has been on my calendar for months, because, it’s an occasion! I can’t skip a once-a-year occasion! So today I hit up Wildfiber and Compatto. 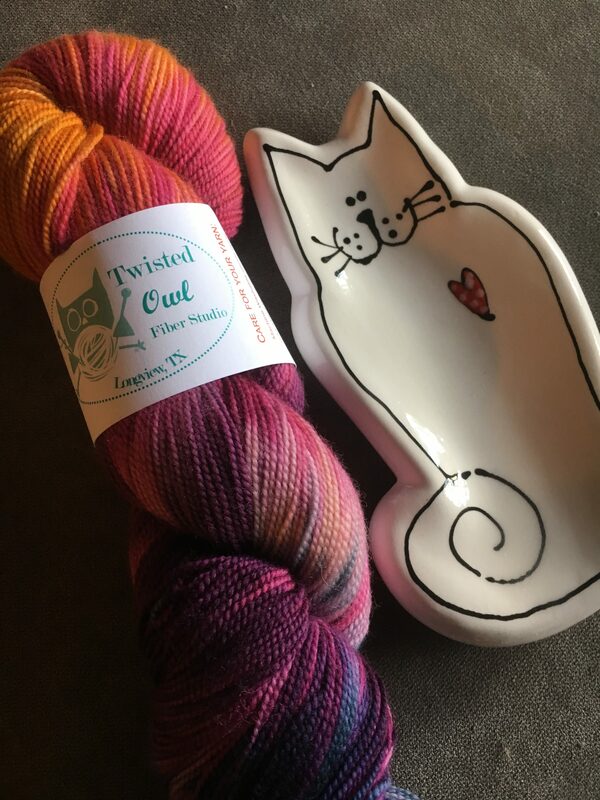 Almost $200 later, I have four new skeins of yarn, one new book, and an adorable ceramic cat dish. 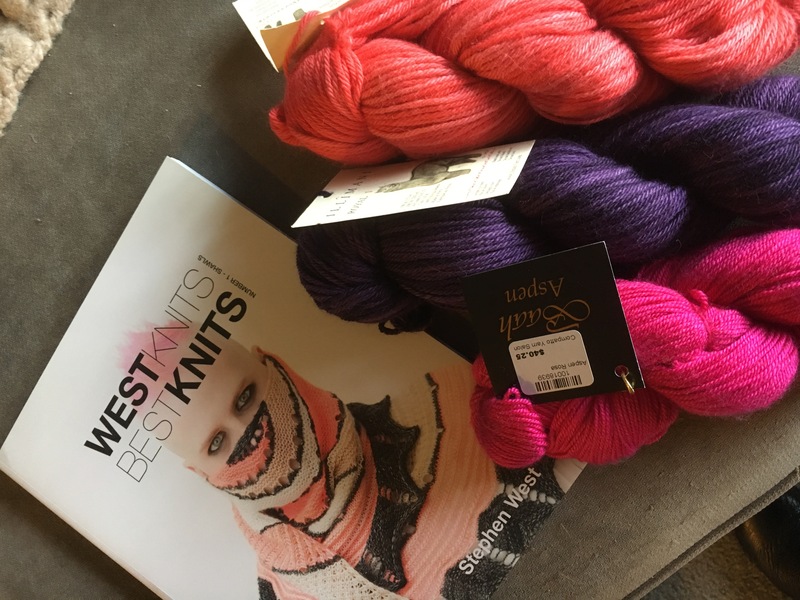 The full haul from Compatto: Stephen West’s new book, one skein of Baah’s Aspen, and two skeins of Illimani. $200 is nothing to sneeze at, so I really should stop now, but I can’t quit until I hit my fave store, The Knitting Tree, which I hope to visit tomorrow. But then that’s it, I swear.